On Saturday (November 10) at Oracle Arena in Oakland, California, the Golden State Warriors defeated the Brooklyn Nets 116-110 on the ten year anniversary of Filipino Heritage Night game. The Warriors have always been a supporter of the Filipino community. 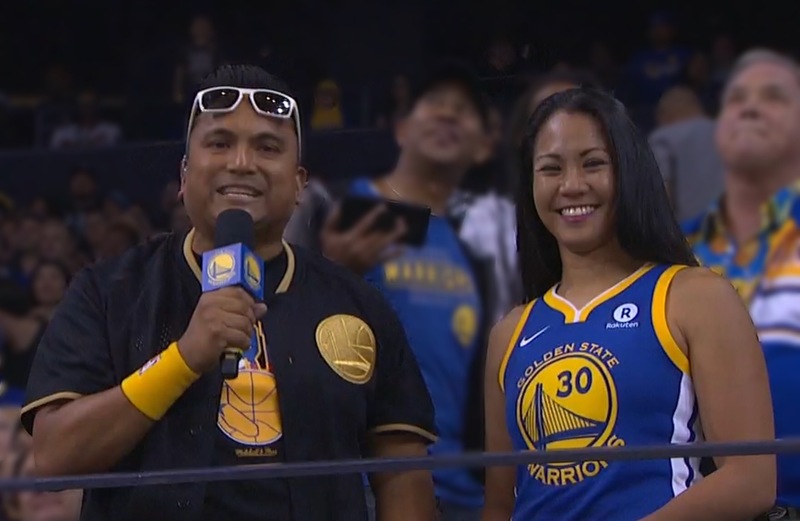 The first guests of Filipino Heritage Night was former NBA player, Raymond Townsend (First ever Filipino American basketball player), and the female fighting pride of Filipino’s, Ana “The Hurricane” Julaton (First ever Filipina World Champion in boxing history). The Warriors welcomed back the former 3-Time World Champion boxer and Mixed Martial Artist to the Warriors home ground to honor her for an amazing combat sports career which she retired from on March 21, 2018. It was an amazing night of celebration, check out this report from TFC-ABSCBN Balitang America.